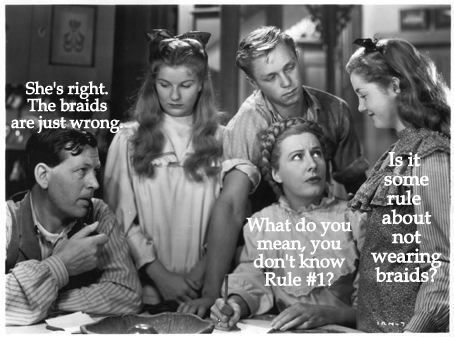 RANTS FROM MOMMYLAND: Top Ten List: What's Rule #1? Lydia had a moment recently where she found herself asking her kids in her meanest Mean Mommy voice: "What are you guys thinking about?! What is Rule #1 in this house?!" The answers were surprising and hilarious so she shared them with Kate. It then occurred to Kate to ask her own children, whose answers were even funnier. If these answers indicate the degree to which we are successfully raising our children, the whole list is an enormous parenting FAIL. Top Ten Responses to the Question: What's Rule #1? 9. Be quiet! Da baby's sleepin'! 7. When Mommy's on the phone, stop screaming. 6. You hafta wash your hands after you pee, even if you didn't wipe. 3. Take off your shoes before -- after -- don't wear shoes in the hou-- take them to our room-- ever. Something. 2. Don't say Jesus unless you're in church. 1.Only run across the street if you're holding hands first. Right? ...Or it could be something about goats. 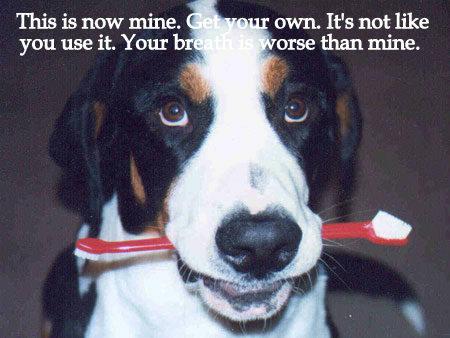 Yeah...that's Rule Number 1. 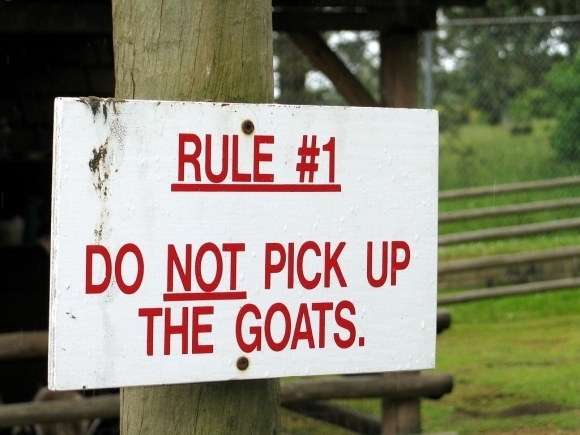 The Goat Rule.